Fulham’s relegation from the Premier League was confirmed with a heavy defeat at Vicarage Road. The Whites’ presence in the top tier had already been hanging by a thread and goals from Abdo Doucoure, Will Hughes, Troy Deeney and Kiko Femenia merely hastened the inevitable for a team that has had a wretched campaign. Ryan Babel levelled in the first half for Fulham. 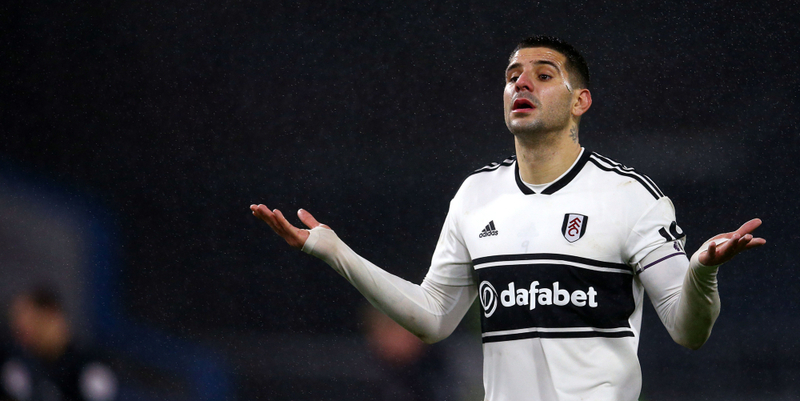 Fulham, who spent £100m – most of that sum rather wasted – on a host of players in readiness for the Premier League now have a massive summer rebuilding job before their participation in the Championship. Caretaker manager Scott Parker also has issues over retaining some players, mainly Ryan Sessengnon. Moreover, this heavy defeat against the Hornets was the clubs’ ninth loss in succession. There were two changes from the weekend home defeat by Manchester City with the spectre of the drop on the horizon. Parker – who was, incidentally, given plenty of vocal support from the visiting fans – started with the fit-again Aleksandar Mitrovic and Tim Ream, while there was no place for Floyd Ayite with Timothy Fosu-Mensah dropping to the bench. Mitrovic did manage the first chance of the night but his eight-yard header went disappointingly wide from a fine cross by Tom Cairney. In fact, enterprising Fulham enjoyed the majority of possession in the opening spells against the Hornets, who were looking ahead to their FA Cup semi-final appearance on Sunday. Unfortunately for the Whites, Watford served up a lesson in clinical finishing with their first major threat, in the 22nd minute. Doucoure picked up possession midway inside the Fulham half before driving effortlessly forward, and with Maxime Le Marchand failing to make a challenge in time, the Frenchman drilled a perfect left-foot shot past keeper Sergio Rico from 18 yards. Nevertheless, Fulham’s response was admirable – and Babel’s coolly-taken 33rd minute equaliser was deserved. The winger fastened on to a superbly weighted pass by Sessegnon, pressed past Adrian Mariappa and rounded keeper Ben Foster to slot home. Chances after the break were scarce to emerge initially although Sessegnon did manage to draw out a good save from Foster at close range. Watford made the visitors pay, however, in the 62nd minute. Hughes connected superbly with a left footed volley on the edge of the penalty area when fastening on to Le Marchand’s headed clearance from a corner – a marvellous example of technique. It was, unfortunately for Parker’s side, all over in the 69th minute. Watford substitute Andre Gray broke past Chambers on the left and calmly squared for Deeney, who had the easiest of tasks to drive the ball home from eight yards. The hosts’ pressure intensified and Jose Helbeas brought out the best in Rico with a low diagonal shot. Watford’s fourth finished off Fulham, whose defensive frailties were becoming all too obvious. Gray opened up the visitors in the 74th minute and set up Kiko Femenia, who lashed home past the exposed Rico. Fulham: Rico, Bryan, Christie, Ream (Seri 72), Le Marchand, Chambers, Anguissa, Cairney (McDonald 87), Sessegnon, Babel (Schurrle 81), Mitrovic. Subs not used: Fabri, Odoi, Kebano, Fosu-Mensah.